The Gladiator sandals trend never really went out of style it’s just developed season after season, and this season the gladiator sandal has come back with a vengeance. The options are more detailed, taller and better in both flat and heeled sandals. With so many options right now it’s hard to choose just one or even two styles to settle down with. 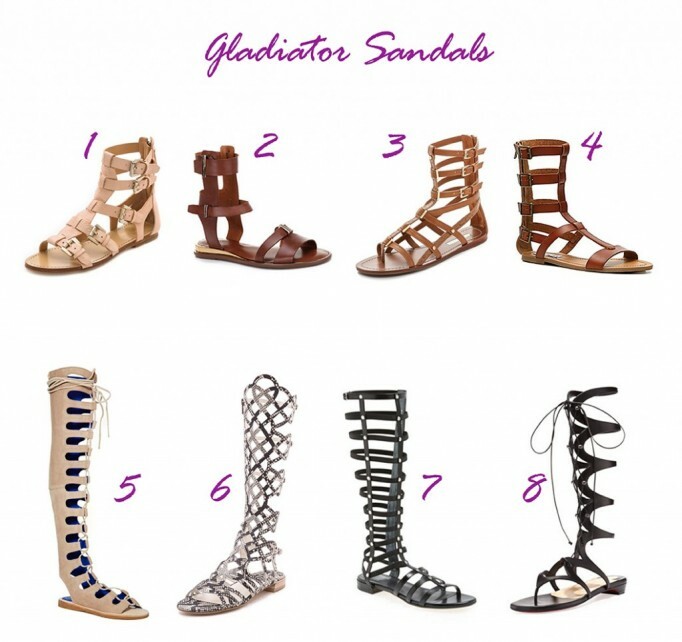 Here is my roundup of this seasons top picks for gladiator sandals. Which ones would you choose to add to your Spring/Summer shoe rotation?